In 2003 Gerry Anderson created an idea for Firestorm. 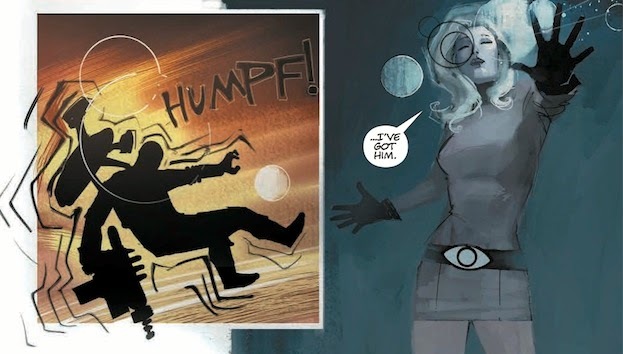 The series followed the group called Storm Force 9 as they went up against a terrorist organization called Black Orchid. The anime mixed classic cel animation and CG. Alas the series had little publicity and was only shown in Japan. Fast Forward to the present day and Gerry's son, Jamie is relaunching the Firestorm idea with Kickstarter. He plans on funding a short pilot in hopes of selling the idea for a future TV series. Go to the website link below to read up on all the exciting things going on with this project. There is more background information about the project, its goals and stretch goals and the rewards you will receive at different pledge levels. If the project goal is not reached, you are not charged your pledge but at the current rate, things look good!! This was probably the 5th or 6th time watching the entire series from start to finish and obviously the first time in High Definition. 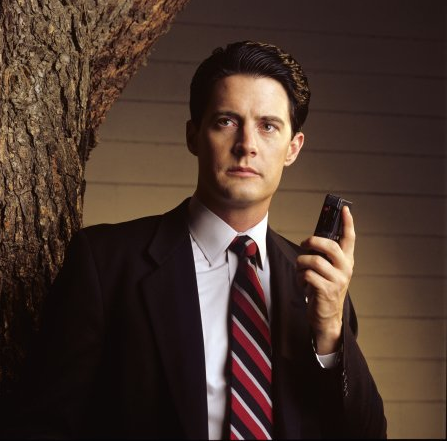 It is interesting to note that the TV series debuted as a quirky murder mystery with its appeal in the off beat characters, moody music and cinematography and the need to find out Who Killed Laura Palmer? The series was very popular and was the talk of the town. I, along with many people, enjoyed its originality and that David Lynch craziness that is a signature in most of his movies. The series would no doubt keep people returning because of the murder mystery. The multiple cliffhangers ending season 1 would bring back huge audiences in season 2 but then the inevitable dilemma surfaced for the writers – you reveal the killer and audiences drop or you drag out the reveal and audiences drop. Sad news in the world of Doctor Who as Maggie Stables who played Evelyn Smythe in the Big Finish 6th Doctor Adventures died in her sleep on September 26th. Evelyne Smythe was the first new companion created by Big Finish and it was no doubt the best one they have created. 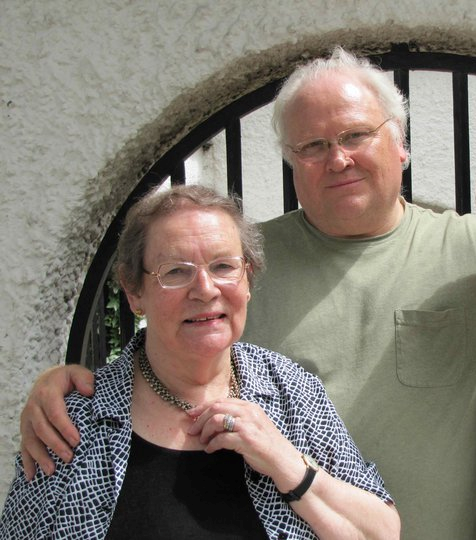 Her chemistry with Colin Baker was superb and the two of them together created the best duo for the Colin Baker adventures. I really liked her character of Evelyne Smyth and enjoyed all the stories she was in. I was saddened of her characters death as I am right now for Maggie's passing as a lot of her stories were some of my favorite from Big Finish. Below is two links one for the tribute from Big Finish and another a list of her Doctor Who credits. Nick Tate, who played Alan Carter in Gerry Anderson's Space: 1999, has a short message about Jamie Anderson's new Kickstarter plan to relaunch Firestorm. Firestorm was an idea of Gerry's that was made into an anime back in 2003. The series saw little airtime and promotion and even less praise. Jamie wants to relaunch the idea using Ultramarionation which will be an updated version of Supermarionation with sophisticated puppetry, miniatures and practical effects (less with CG). More info on Firestorm Kickstarter this Tuesday. Doctor Who, like many good TV shows often have two or more stories going on at the same time. We have the surface story that often involves a weaker written structure that may keep younger kids happy with monsters, explosions and action. Then there are the underlying ideas that are generally character orientated. "The Caretaker" is about a killing machine let loose near Coal Hill School and the Doctor tries to stop it. 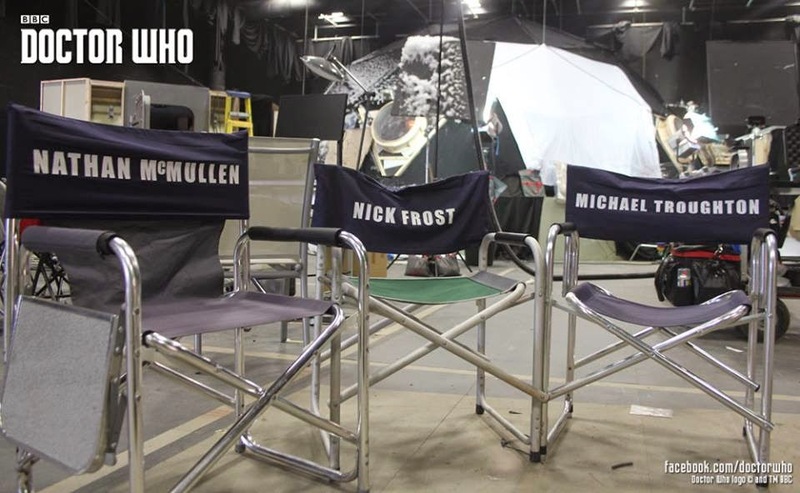 The underlying story involves Clara, Danny Pink and the Doctor. Can the three of them get along long enough to stop the alien threat? Gareth Roberts who wrote the 11th Doctor stories The Lodger and Closing Time returns and gives us his first 12th Doctor story The Caretaker. 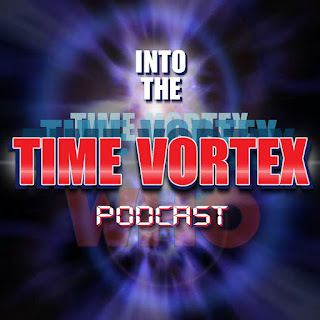 I enjoyed Gareth Roberts 11th Doctor stories with Craig as they were fun to watch and had a bit of comedy to them. Not too much comedy and the stories were usually pretty good with The Lodger being the stronger of the two stories. 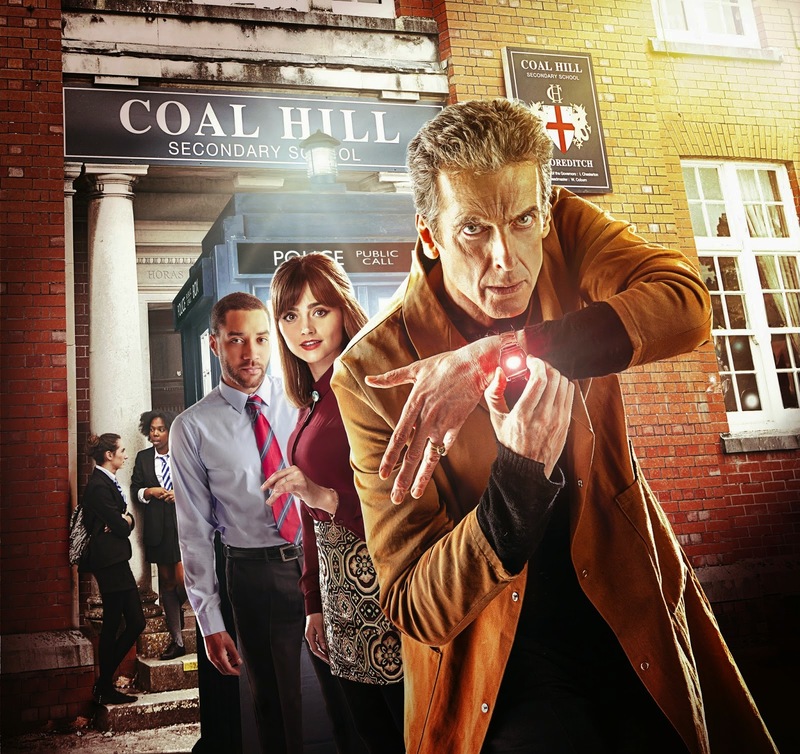 The trailer for The Caretaker did look like it would be a funny lighthearted story which for the way the series has gone lately would be a good change considering Series 8 has by far been the darkest since the show has returned. 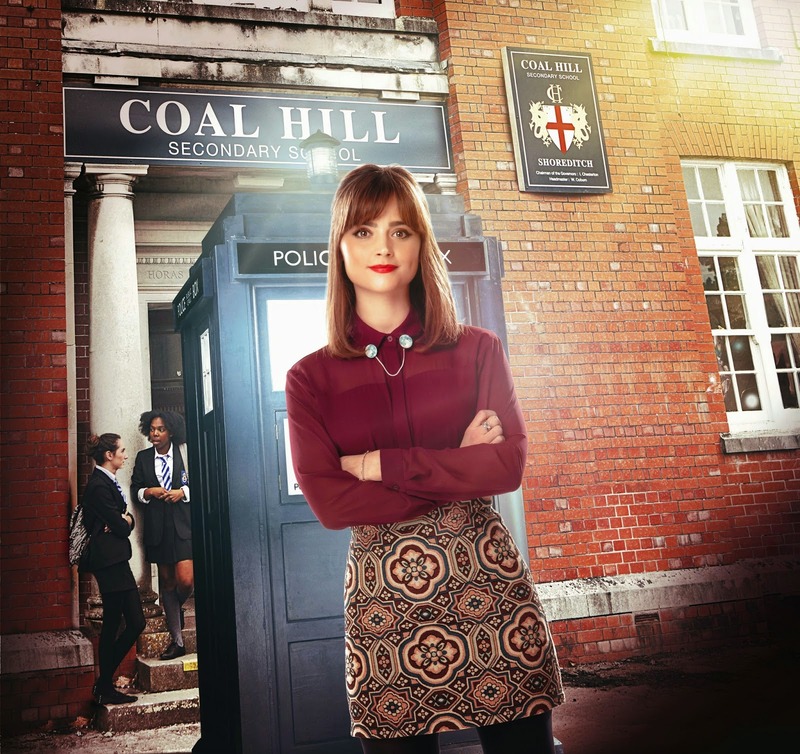 The Caretaker sees The Doctor going deep undercover at Coal Hill School where Clara works to fend off an alien that can destroy the Earth. What follows is anything but stellar. 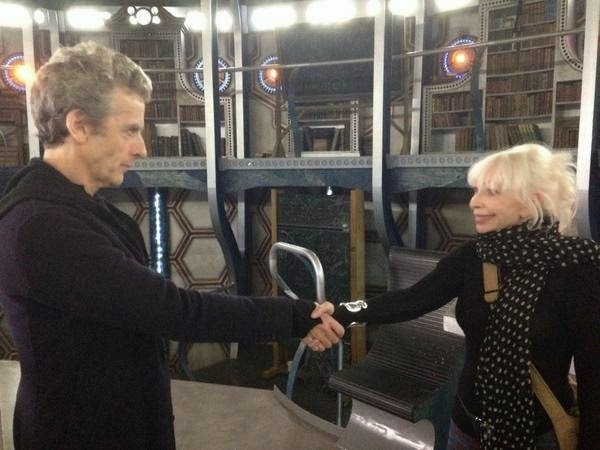 Katy Manning visited the TARDIS set and met Peter Capaldi. She was in Cardiff for filming in Casualty. 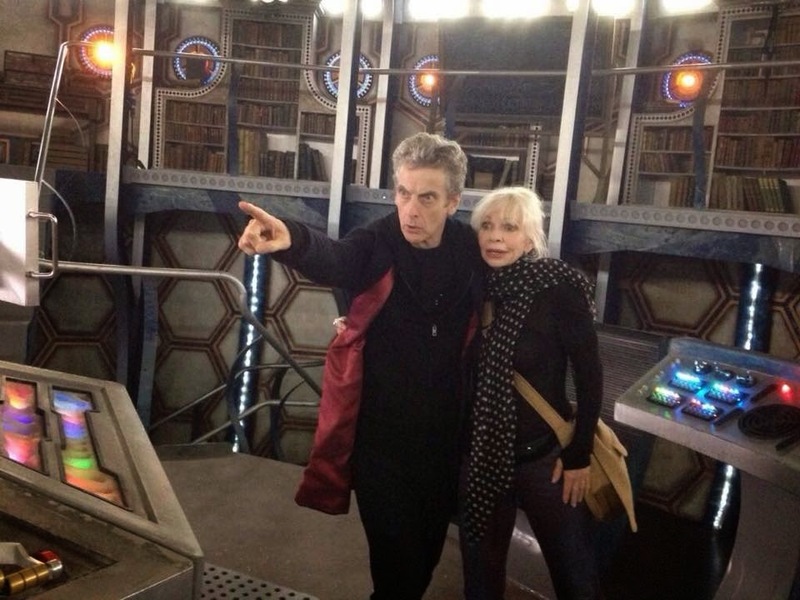 While there the pair recreated an iconic picture that she did with Jon Pertwee when they were the on show back in the 70's. 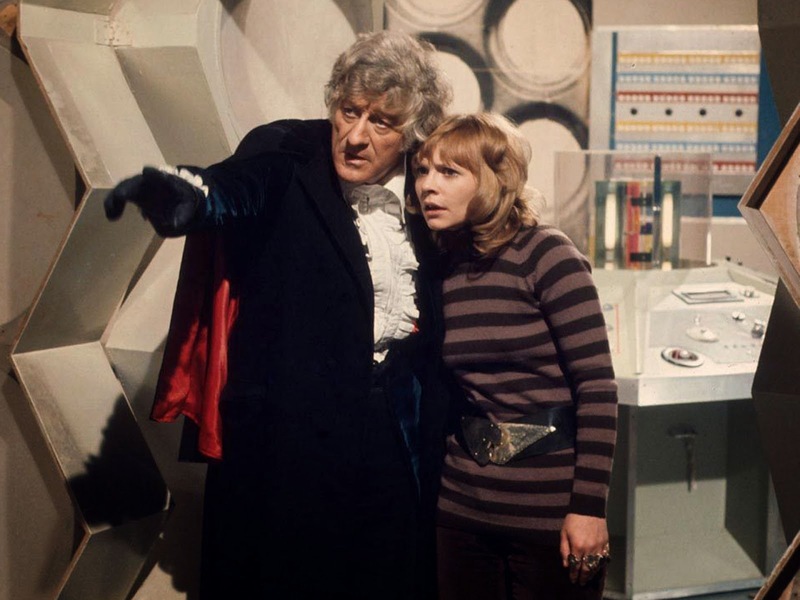 The Third Doctor and Jo are embroiled in a pretty strange predicament. It appears that The Master has called for aid from one of his future selves to help get him out of prison. But unknown to The Master it did not work out the way he thought it would. 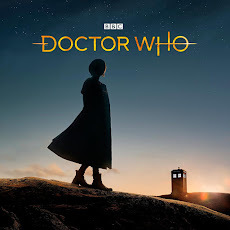 What The Doctor discovers is that something has gone wrong with The Masters timeline and that a future Master is not coming to save him but instead it appears he is being erased from time. The Doctor has to keep reminding The Brigadier, Captain Yates and Sgt Benton about The Master by giving them a paper with his face on it to remind them who he is. But that is not all. The Sild have arrived on Earth and due to The Masters meddling with time used that signal to come to Earth and proceed to invade. To save the Earth The Doctor must go to the future and with another unsettling alliance with The Master must find the source of the Sild and shut it down to save The Master and the Earth. I'm really loving these old style posters for Series 8. So far they have been really good and can't wait to see the rest. The BBC have released the synopsis for episode 8 of Series 8 Mummy on the Orient Express. It will air on October 11th at 8:30PM on BBC One. The Doctor and Clara are on the most beautiful train in history, speeding among the stars of the future but they are unaware that a deadly creature is stalking the passengers. 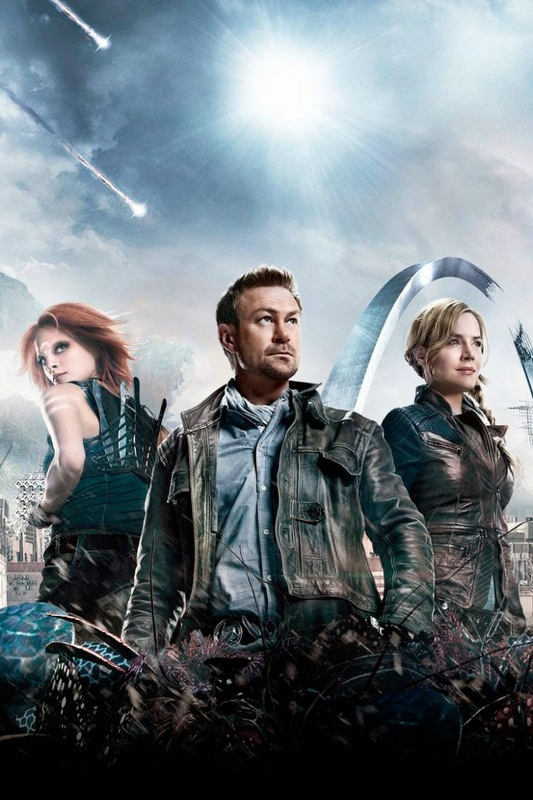 SyFy has renewed their best sci-fi series, Defiance (in my opinion) for its third season. Dominion has also been renewed. Both series will return next summer for 13 episodes each. 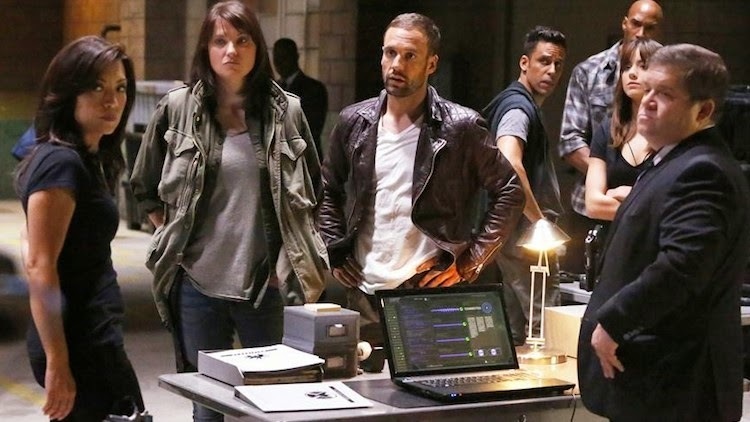 If you are a fan of Marvel's Agents of SHIELD then you know the brief rocky history it has. Most people would agree that the show did not impress right away. The show failed to live up to Joss Whedon's normal standard (Firefly, Buffy The Vampire Slayer) and certainly didn't live up to the Marvel Avengers universe level. The show was sub par with most everything under achieving from writing, effects, character development and so on. The fifth book by Kneel Downe is a bit different from the last couple of books he has released. While The Jackport Killer was a straight on story set in the Virulent Blurb universe Sporadic is a collection of stories set in that same realm. 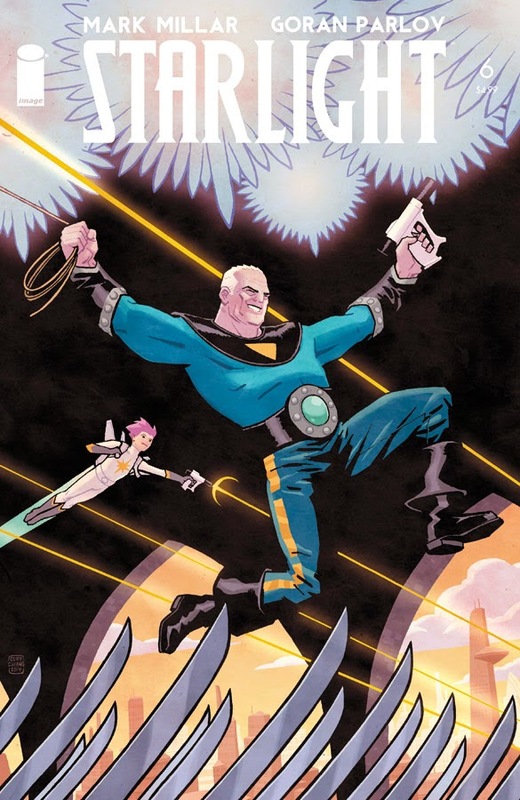 What Kneel has collected here is a collection of his ideas and short stories that have helped create the universe in which he writes in. The collection is more or less his notebook of ideas that he started to write down and which have not gone anywhere or have not fitted in with the stories he has written already. Some of which are good and some of which are really good. Bryan Singer will be back to direct X-Men - Apocalypse for a May 27, 2016 release date. 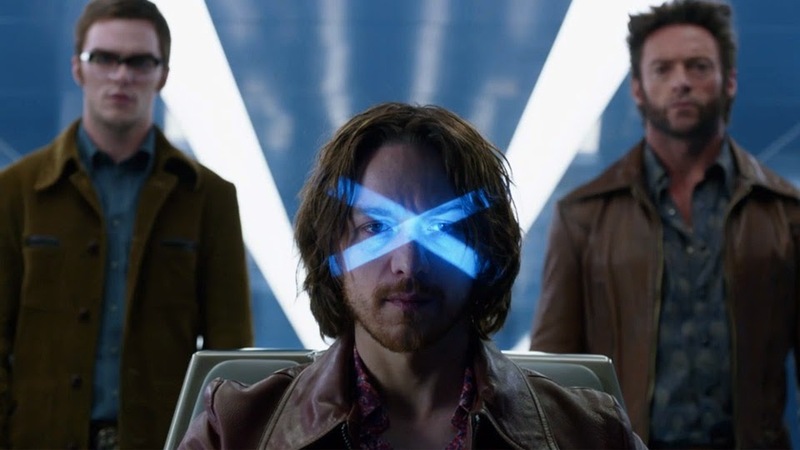 The movie will take place in 1983 and will feature Michael Fassbender (Magneto), James McAvoy (Charles Xavier), Jennifer Lawrence (Mystique) and Nicholas Hoult (The Best) among others reprising their roles in the film. This timeline also means that characters like Storm, Jean Grey and Cyclops will all be recast with younger people. 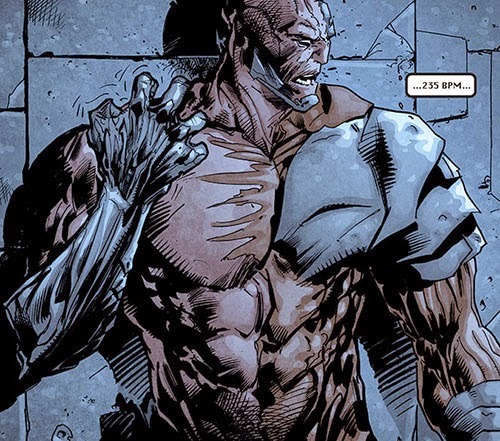 This probably does not pertain to Hugh Jackman, who continues to age as slow as Wolverine. 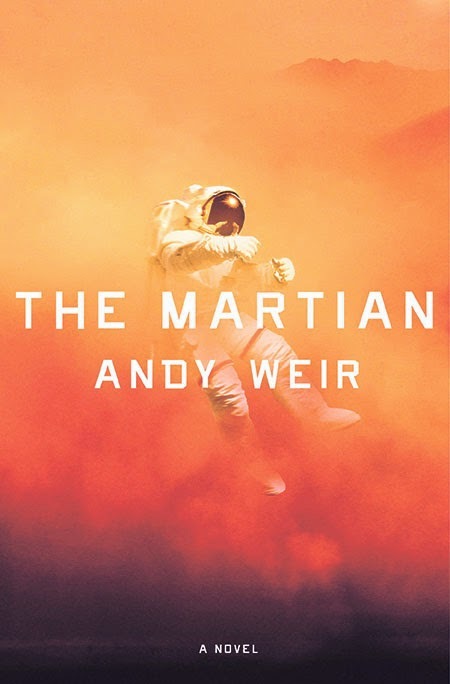 A mission to Mars ends in tragedy as the astronauts barely escape a dust storm but one of the crew are killed on the surface. The rest of the crew escape and head back to Earth and have to deal with their loss. Meanwhile on Earth, the healing process begins and questions on the future missions to Mars are debated. 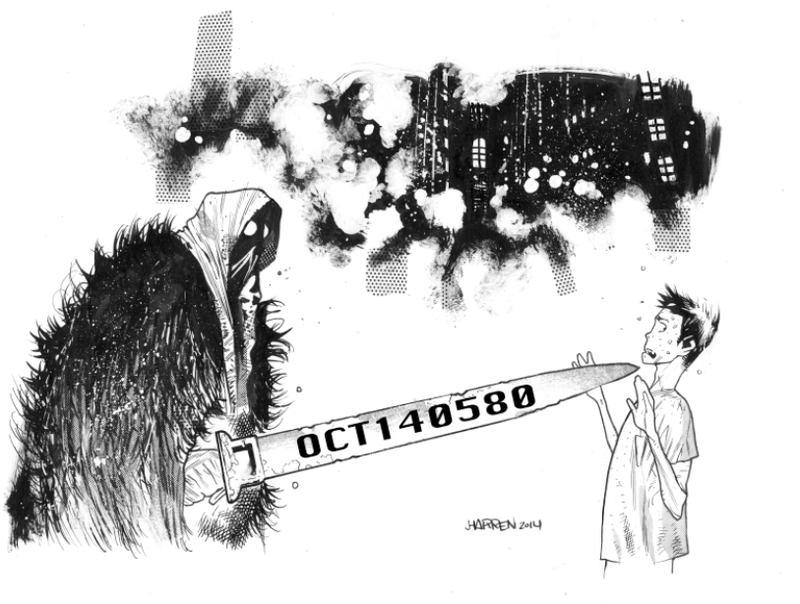 But there is one thing that no one could possibly imagine – the dead crew member is not dead. 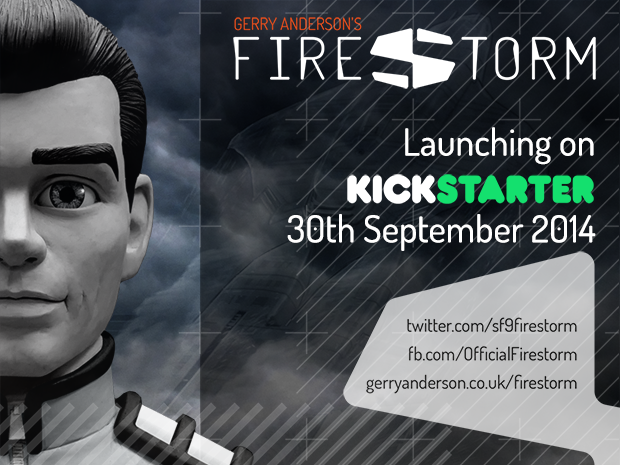 Jamie Anderson and Anderson Entertainment have announced a new Kickstarter project which will use ideas based on the late Gerry Anderson anime series called Firestorm. The ideas were created in 2001 and saw development in an anime TV series that the vast majority of people in the world never saw or even heard of. 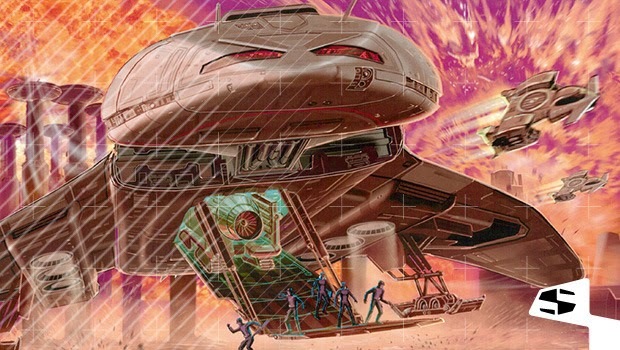 The new project is being funded through Kickstarter, a method that Jamie Anderson recently used to help get a series of novels called Gemini Force One which were also based on his father's ideas. Firestorm was a series about a group of peacekeepers who must combat a new threat to the world in the form of a terrorist group called Black Orchid. The series used a mixture of standard cel and CG animation and went 26 half hour episodes. The series was horribly received in Japan and has seen little light of day despite having some excellent animation and stories (in my opinion at the time). Gerry Anderson's name at one point was removed from the production. 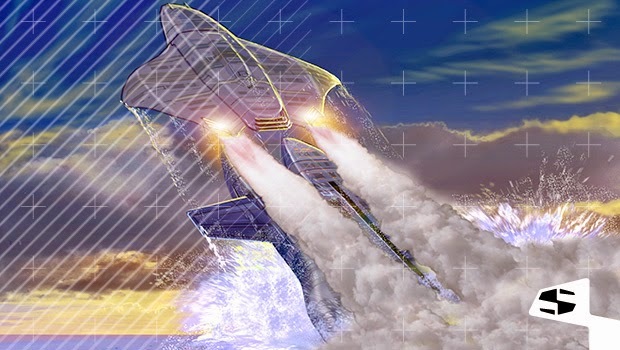 Jamie has been hinting at this project for weeks now but revealed the project to past contributors to the Gemini Force One Kickstarter the day before the public reveal of the project. 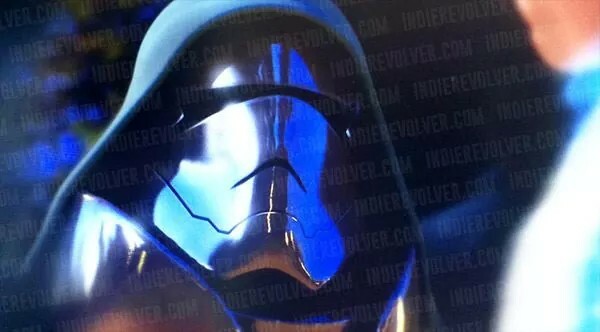 The Kickstarter will officially open on September 30 and will be for the funding of the pilot episode. The pilot can then be used to sell a series. The series is to be made in Ultramarionation which is going to be an updated process utilizing miniatures, physical sets, practical effects and puppets!! One has to imagine that Jamie is looking at what the new Thunderbirds Are Go TV series is doing with miniatures and sets along with CG and is going to go full old school with this idea. I will start this review with information that each of my reviews this season have been written after watching each episode more than once. I have done this for a few reasons. The first is that I am finding the quality of these episodes to be of a significant higher quality than in previous seasons, especially when compared to season 5 and 6. I also have had the time to sit back and watch them twice and I have found that I definitely get more out of the second viewing in some cases. This may be unfair to episodes I have reviewed in the past of course. The reason I mention this is because my first viewing of "Time Heist" did not go that well. I actually nodded off a few times and saw a lot of negative things about the story and so on. After watching it again I was able to focus more on the story and I saw things I hadn't before. Hopefully this results in a fair review on my part. I was never a fan of movies that were centered on robbing banks like the Ocean 11 movies. Well, I take that back I did enjoy both versions of The Italian Job but never the less I was never a big fan of that type of movie. 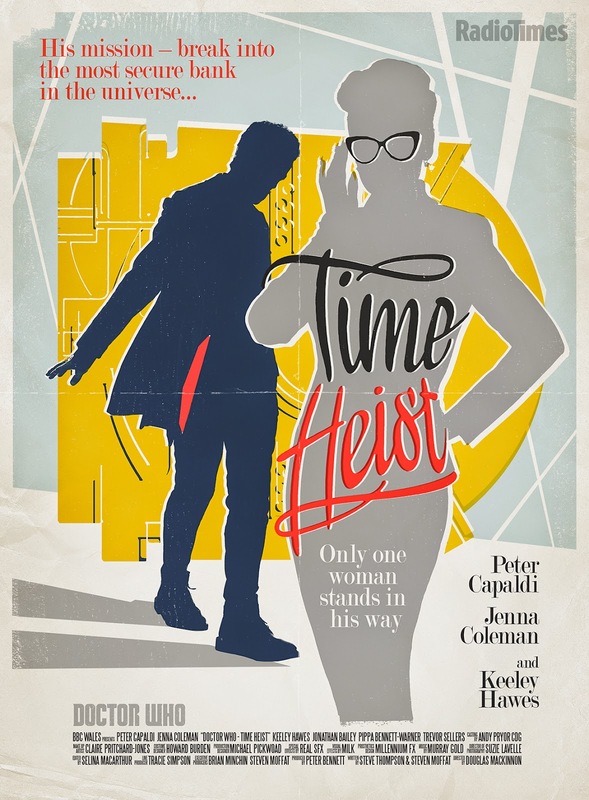 So when I saw the trailer for Time Heist I had reservations about it. 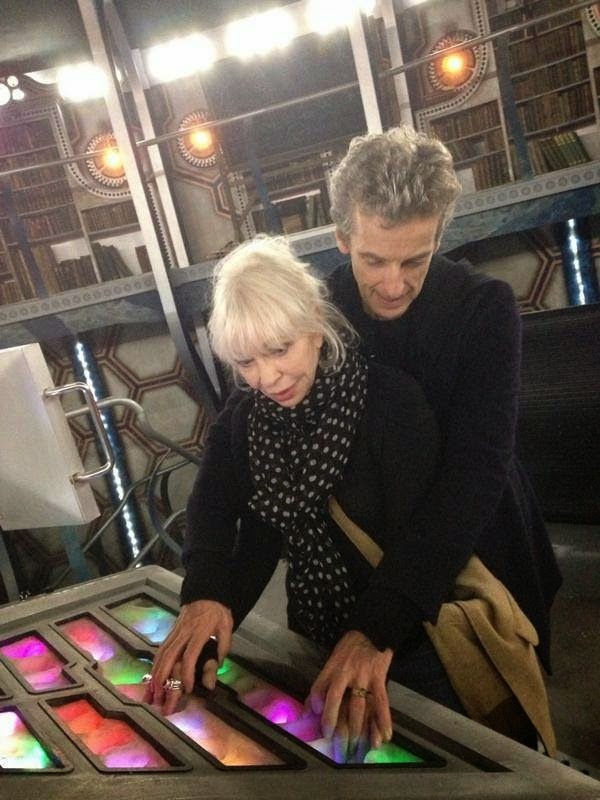 But then I saw who co-wrote it with Steven Moffat and my mind was set at ease a little bit. 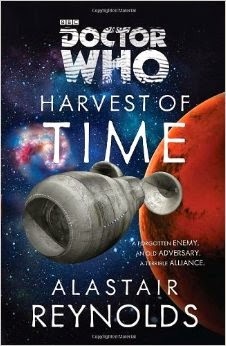 I did like Steve Thompson’s previous work on Who and Sherlock so there’s a chance I will enjoy Time Heist. 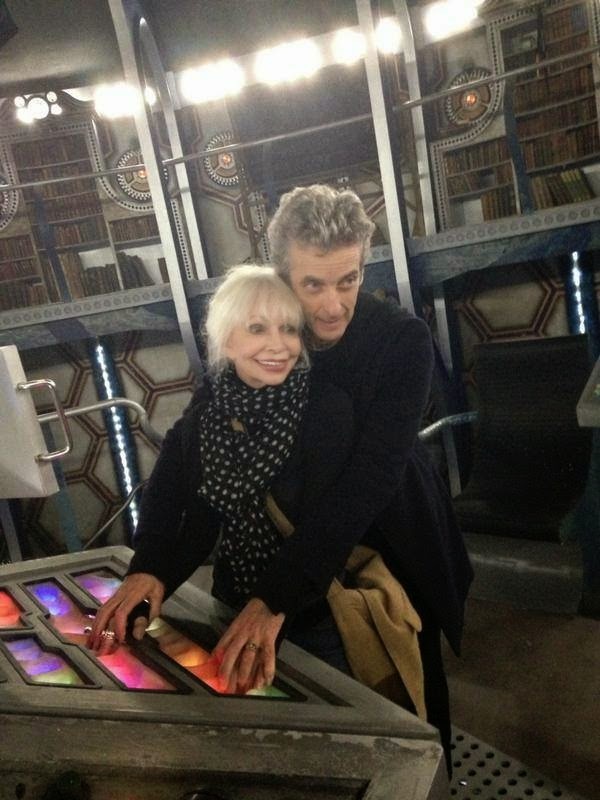 The BBC have released a photo that confirms who will be guest starring in this years Christmas Special. I'm sure the names will be familiar to you as one of them's father was The Doctor at one time. 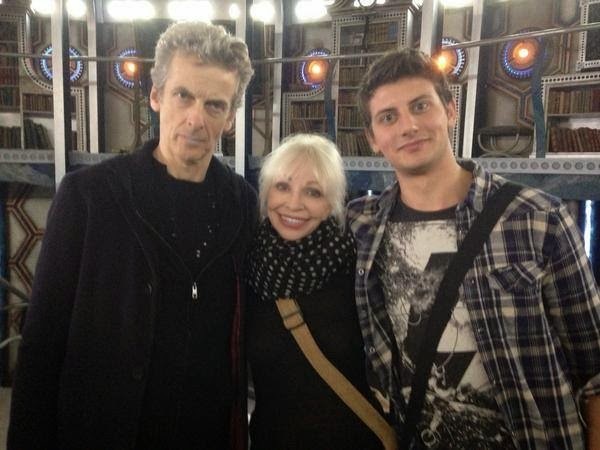 Filming has begun on this years special which will air on December 25th (hopefully). This weeks Radio Times Doctor Who poster reminds me of a spy novel book from the 50's or something James Bondish. 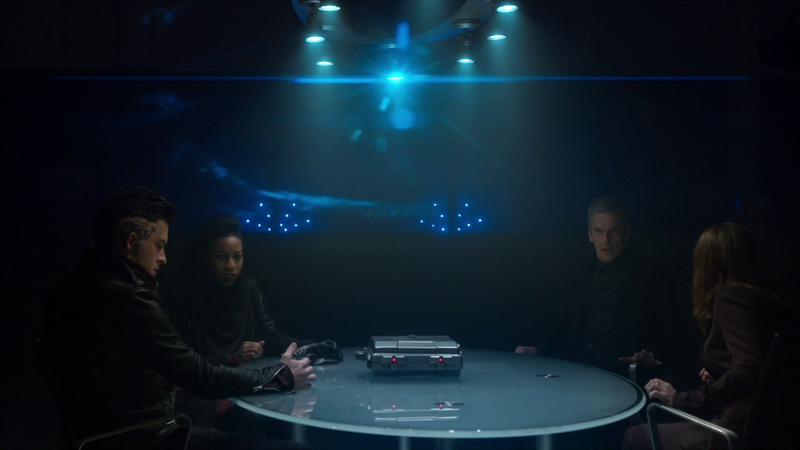 Time Heist airs this Saturday on BBC One, BBC America and Space. 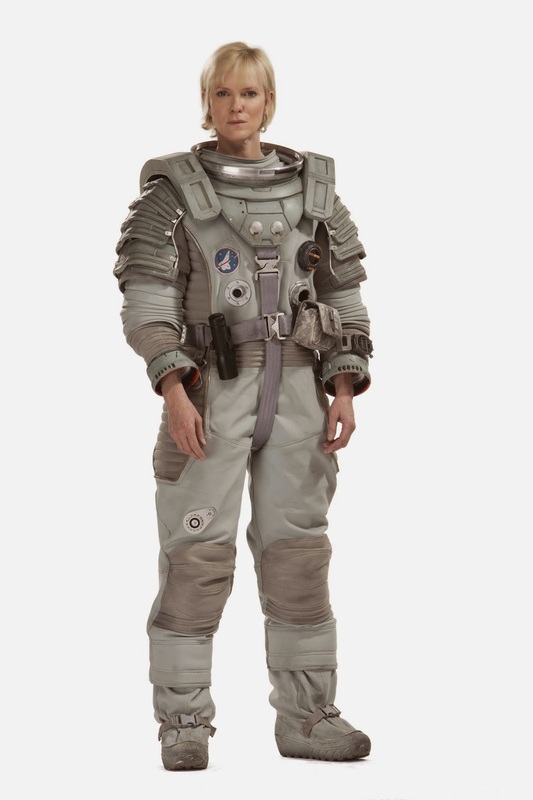 The BBC have released the synopsis for Kill The Moon which will air on October 4th and is the 7th episode of Series 8. No time has been announced but if you go by the Radio Times article yesterday it will most likely be at 8:30 on BBC One and 9PM on BBC America. 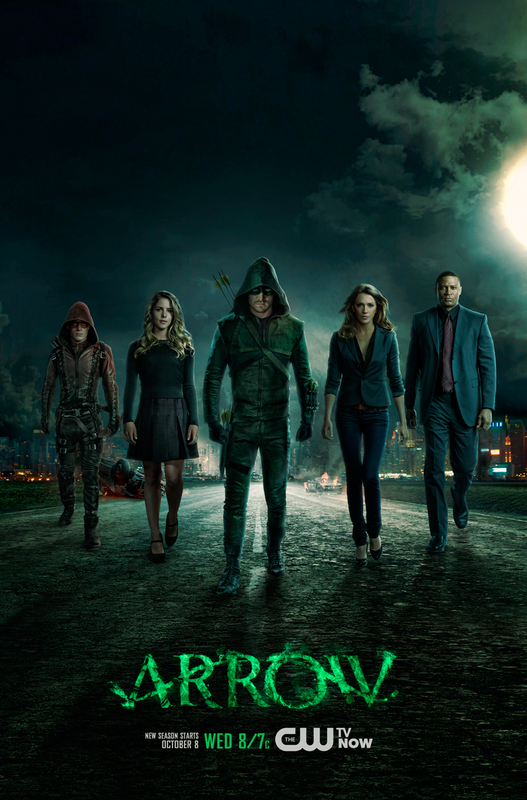 The CW have released the season three cast poster for Arrow. It is the typical one they have done before except Roy is in his Arsenal gear. 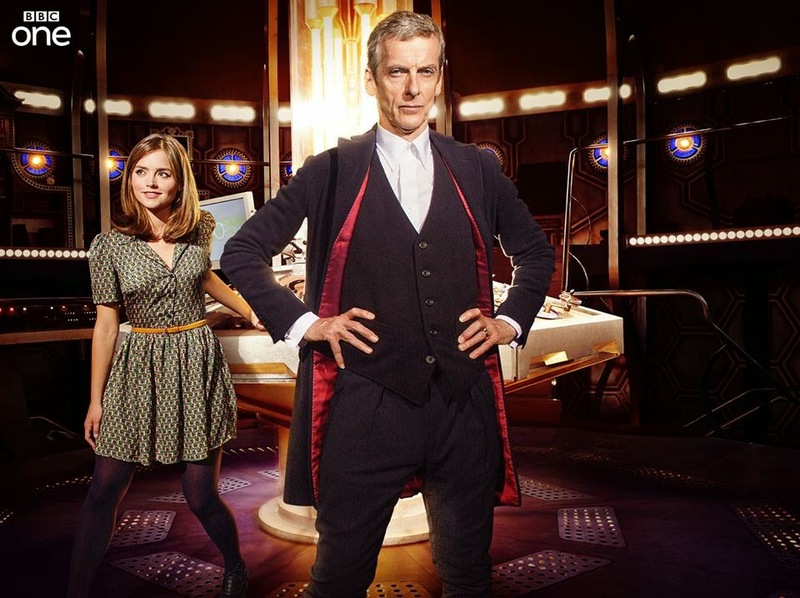 The BBC have decided to move Doctor Who from 7:30 PM to the later time of 8:30 PM. This was the plan all along once Strictly Come Dancing returns. 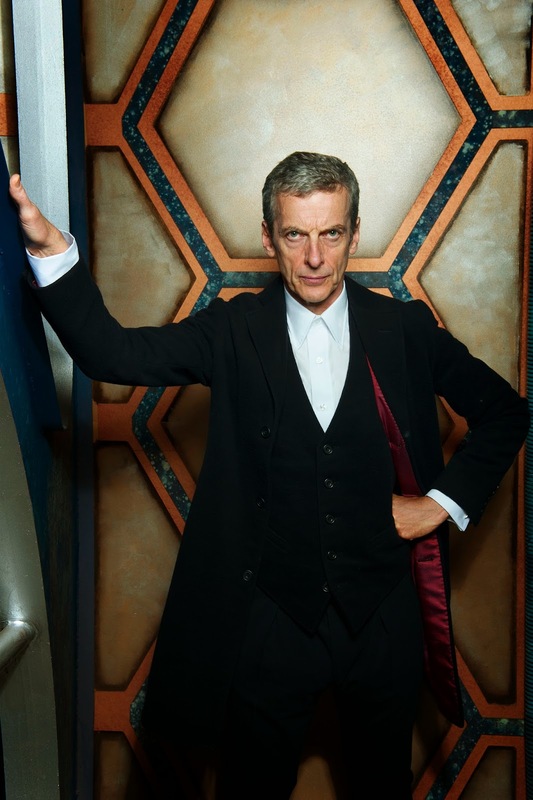 The time change will happen on September 27th and will remain the time slot till the end of Series 8. Here is what a BBC Insider had to say. 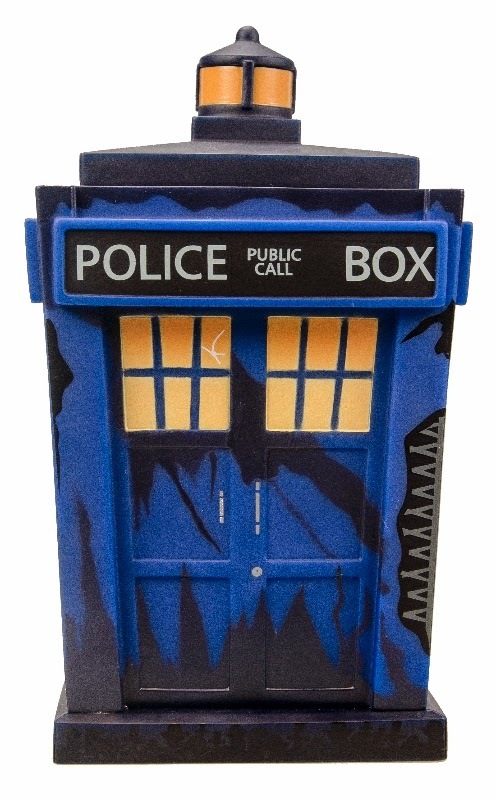 This will be the latest the show has been aired and Doctor Who has been creeping away over time from its Saturday tea time slot where families generally watch it and mainly the younger kids. The BBC had this to say. "Viewing levels are still high at that time amongst young audiences and children and Doctor Who has always generated very high levels of recorded playback and iPlayer viewing so lots of children and families already choose a time that suits them over the days that follow." 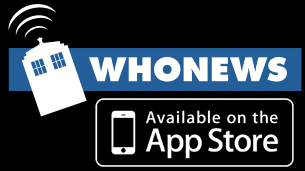 So whether you like it or not Doctor Who will be on later in the UK a half hour earlier than when it is shown in the US and Canada who both air Doctor Who at 9PM on Saturday night. Valiant is proud to announce HARBINGER: FAITH #0 – a brand new one-shot exploration of Valiant's high-flying teenage Renegade and Unity's newest team member! Coming in December from New York Times best-selling writer Joshua Dysart (Harbinger, Harbinger Wars) and rising star Robert Gill (Armor Hunters: Harbinger), start reading here to discover how Harbinger's high-spirited teenage fangirl went from the heart and soul of Peter Stanchek's teenage Renegades to the newest member of the world's most elite super-team – UNITY! 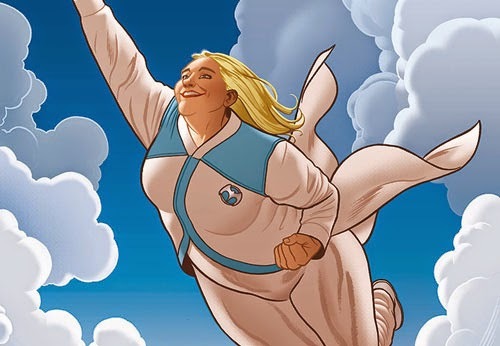 As Faith recuperates from the events of Armor Hunters: Harbinger, jump on board and discover the complete, never-before-revealed tale of her origin – just as she steps into the limelight for a brand new story arc beginning in November's UNITY #12! 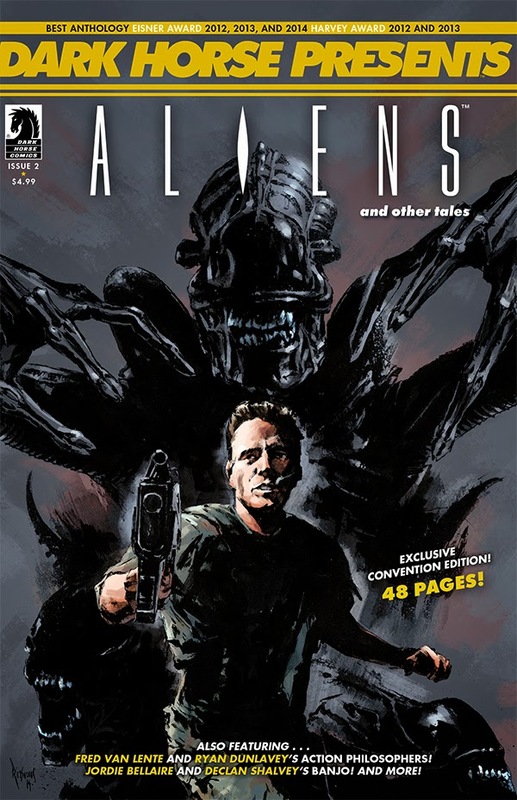 * The Prometheus crossover event heats up! 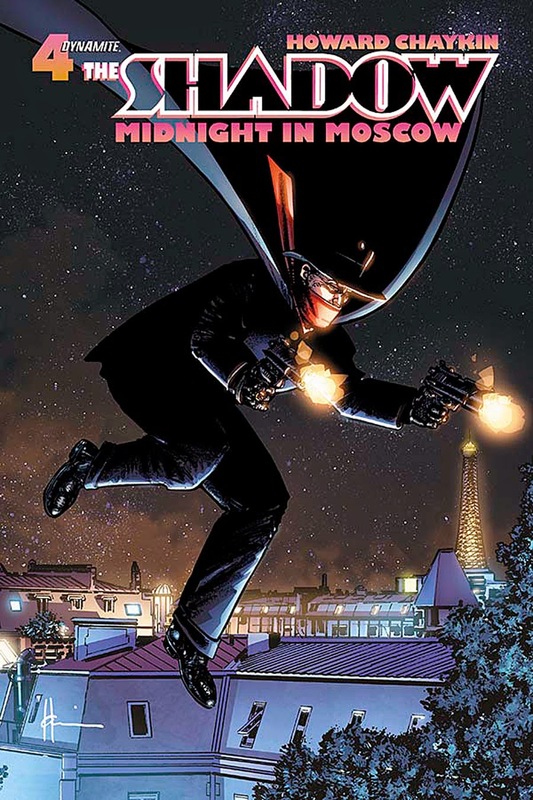 * Written by the acclaimed Christopher Sebela (Dead Letters, Ghost)! * Art by Ariel Olivetti (Cable, Conan and the People of the Black Circle)! 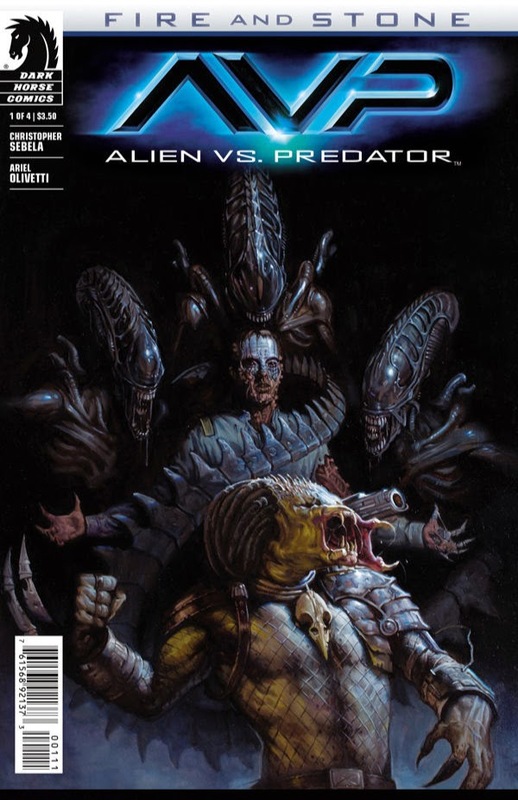 ALIENS VS. PREDTOR: FIRE AND STONE #1 is on sale October 8th. 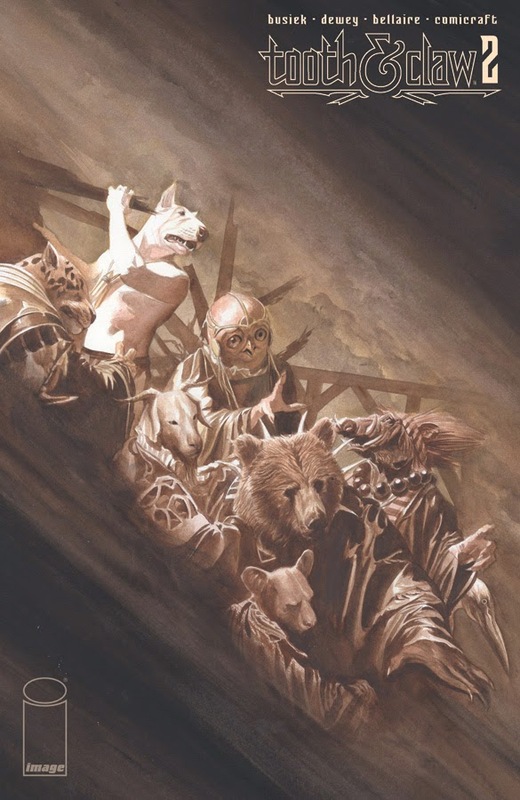 A lso in stores next week, two major chapters of the ARMOR HUNTERS saga are coming to a close in the lead-up to next week's grand finale in ARMOR HUNTERS #4! Robert Venditti and Clay Mann Unearth X-O MANOWAR #0 – In Stores October 8th! Valiant is proud to present your first look inside X-O MANOWAR #0 – an all-new, must-read zero issue introduction to the origins of Valiant's alien-armored Visigoth from superstar creators Robert Venditti (ARMOR HUNTERS, Green Lantern) and Clay Mann (Gambit, X-Men: Legacy)! In the aftermath of ARMOR HUNTERS, start reading here with a bold new beginning for Valiant's blockbuster hero as Venditti and Mann chronicle the never-before-revealed rise of Aric of Dacia – aka the unstoppable X-O Manowar! 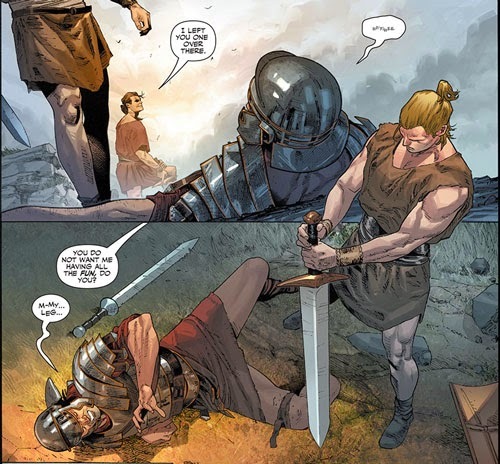 From the brutality of the Roman Empire to the bone-crunching fallout of the Armor Hunters's attack on Earth, start at the beginning to discover X-O Manowar's journey through the ages as Venditti and Mann craft an epic new entry point into the series that IGN calls "fantastic, action-packed storytelling that never fails to satisfy." 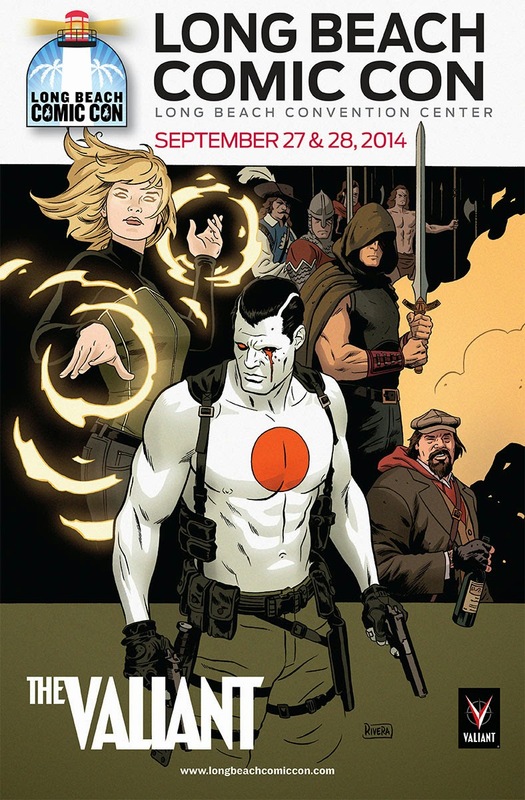 Join Dark Horse Comics at Rose City Comic Con! We’ll be at the booth handing out giveaways and offering free signings with comics creators! 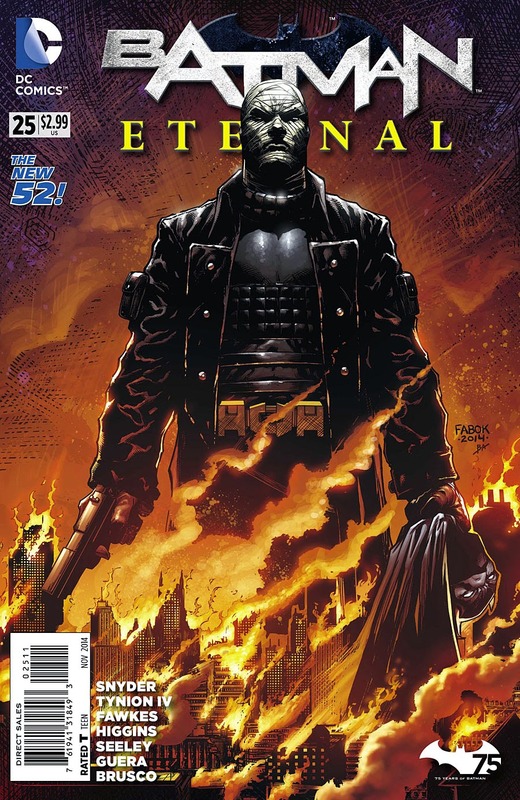 Come check out our comics, books, and products for sale!